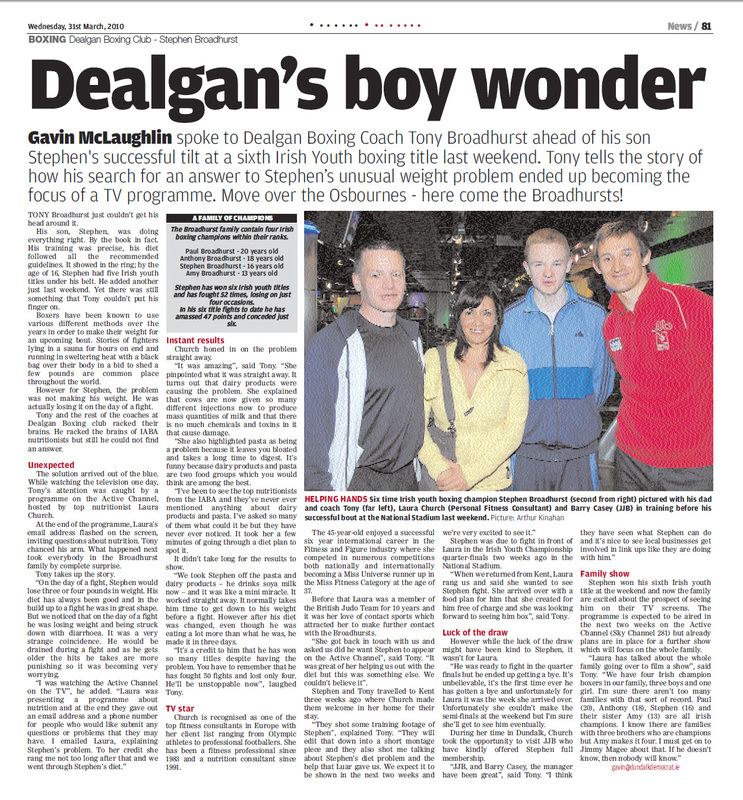 Gavin McLaughlin spoke to Dealgan Boxing Coach Tony Broadhurst ahead of his son Stephen’s successful tilt at a sixth Irish Youth boxing title last weekend. Tony tells the story of how his search for an answer to Stephen’s unusual weight problem ended up becoming the focus of a TV programme. The solution arrived out of the blue. While watching the television one day,Tony’s attention was caught by a programme on the Active Channel, hosted by top nutritionist Laura Church.